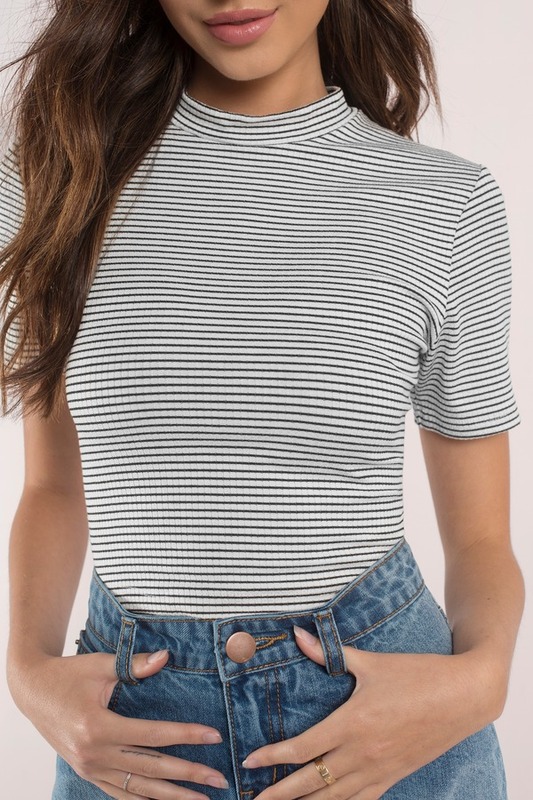 Check out Tobi's Candy Striped Crop Top So many ways to wear a mock neck crop top we can't even begin. 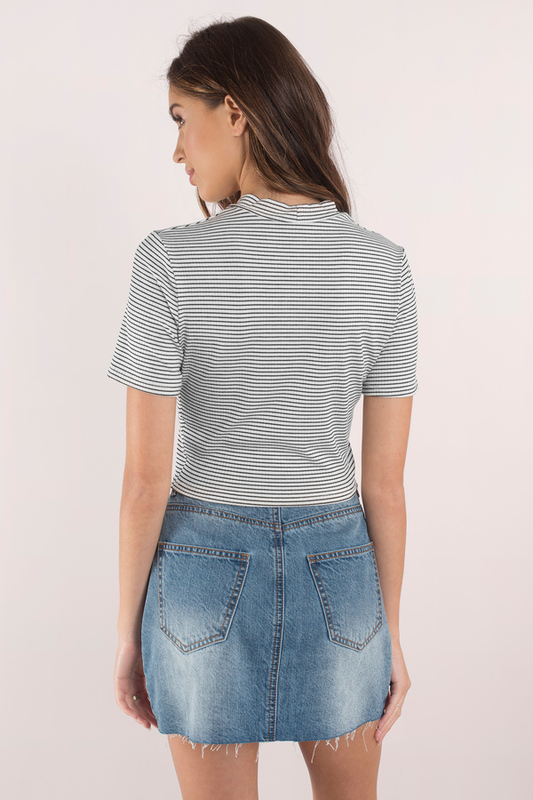 The Ivory Candy Striped Crop Top is a short sleeve crop top with narrow horizontal stripes that's designed to slot into your casual wardrobe. With jeans, pinafores or shorts, you'll feel like you've had this short sleeved tee forever. So many ways to wear a mock neck crop top we can't even begin. 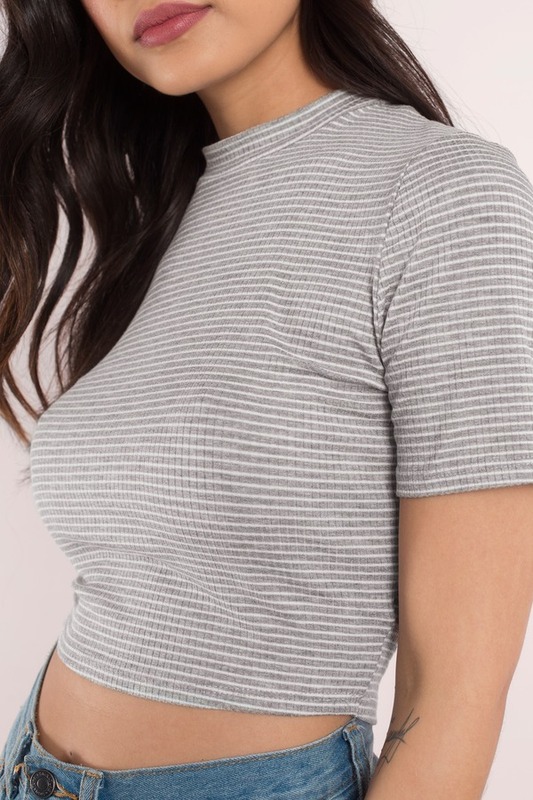 The Grey Candy Striped Crop Top is a short sleeve crop top with narrow horizontal stripes that's designed to slot into your casual wardrobe. With jeans, pinafores or shorts, you'll feel like you've had this short sleeved tee forever. So many ways to wear a mock neck crop top we can't even begin. 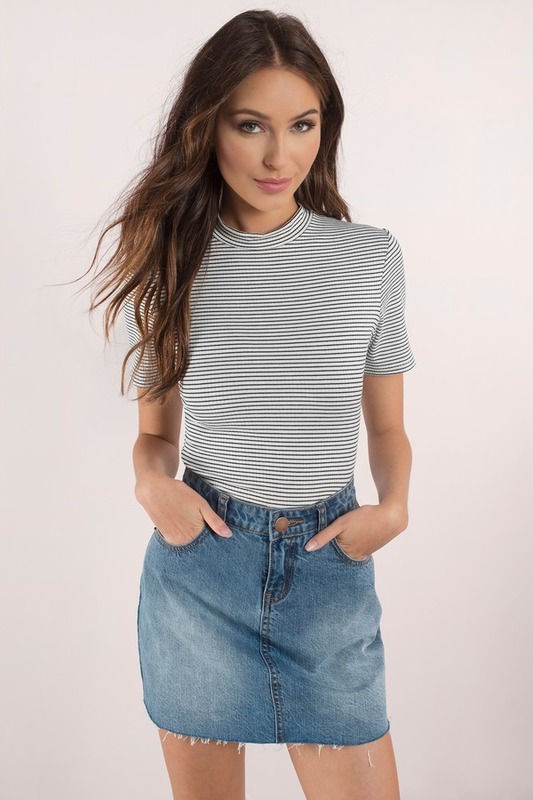 The Ivory Candy Striped Crop Top is a short sleeve crop top with narrow horizontal stripes that's designed to slot into your casual wardrobe. With jeans, pinafores or shorts, you'll feel like you've had this short sleeved tee forever.